Manufactured from environmentally friendly natural paper formulated from a blend of 90% virgin pulp and 10% recycled paper. They are 100% recyclable. 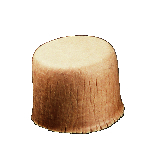 These closures will withstand intermittent temperatures up to 200 deg C (400 deg F) making them ideal for higher-temperature applications which may degrade typical plastic caps. Material Paperboard - 90 lb.